I don’t think I will ever tire of seeing my name in print when I have recipes featured in magazines. It’s pretty damn exciting. 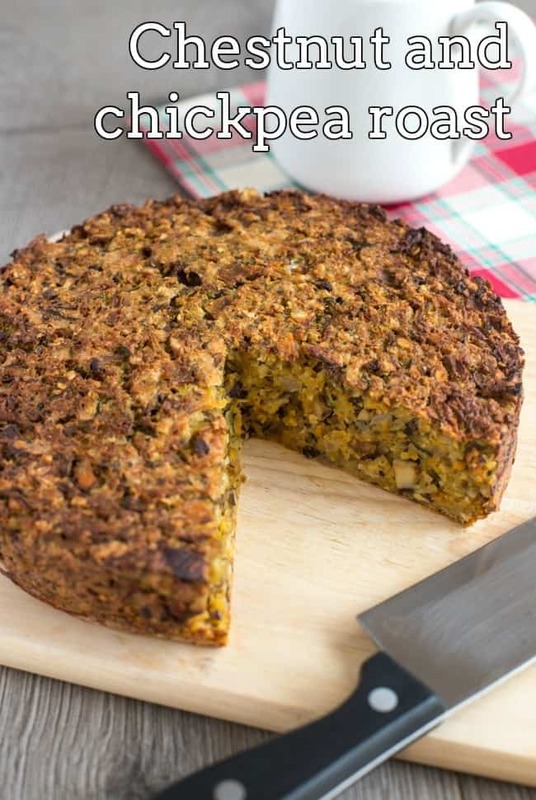 This month, I have six vegetarian Christmas recipes published in Superfood magazine (which I was also featured in earlier this year), and they’ve very kindly allowed me to republish one of them here – chestnut and chickpea roast! If you want to see the other five recipes (including rosemary roasted potato stacks and red lentil gravy), you’ll have to grab a copy of the magazine – but for now, hopefully this chestnut and chickpea roast will do. Luckily, it’s a pretty awesome recipe. It would make a great Christmas main course (yes, I am well and truly talking about Christmas now, sorry but I’m totally not sorry), or even a Thanksgiving main for anyone who’s super disorganised and hasn’t yet decided what they’re making (get yourself together!). The mixture is easy to prepare – it’s just some cooked veggies, chestnuts and chickpeas all mixed together, with some oats and a couple of eggs to bind. I also added a small handful of grated cheese, which helps to keep everything nice and moist and adds a really nice flavour. 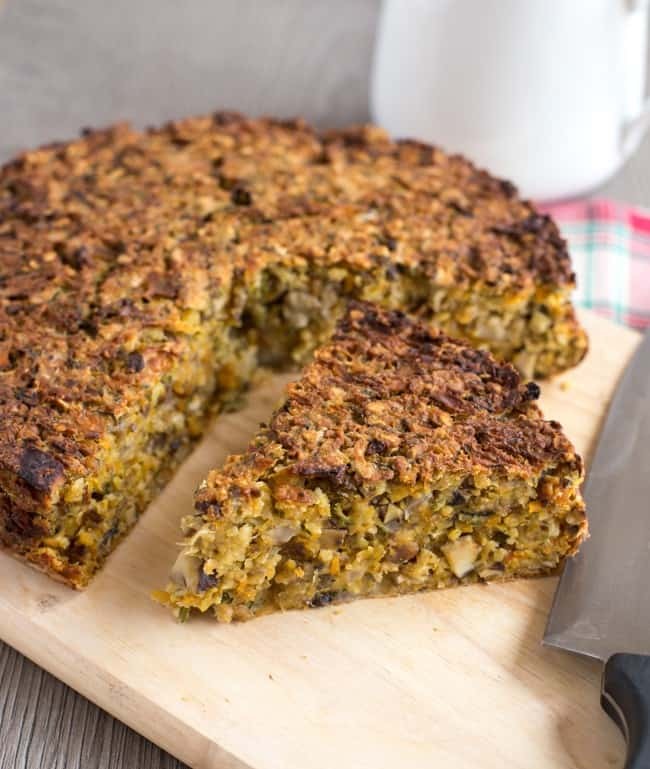 It’s quite a versatile recipe – you could add some chopped nuts or dried cranberries to make it taste even more festive, and you can swap the veggies depending on what you like / have in the fridge. I cooked my chickpea roast in a spring-form cake tin, which makes it really easy to pop out and cut into slices. A normal loaf tin would work just fine too, or a rectangular tin if you’d prefer to cut it into squares. It’s brilliant served with roast potatoes and all the usual Christmas veggies – and don’t forget the gravy! If you can’t find Superfood magazine in the shops, you can always buy a copy online to see my other five recipes (plus lots of other awesome stuff!). Heat the oil in a large frying pan, and add the diced red onion. Cook over a medium heat for a few minutes, then add the minced garlic and grated carrot. Cook for a further 3 - 4 minutes. Finally, add the diced mushrooms and grated courgette, and cook for another 5 - 10 minutes, until all the vegetables are soft and any excess liquid has cooked off. When cooked, set aside to cool for at least 5 minutes. Add the cooked chestnuts and drained chickpeas to a food processor, and blitz until coarsely chopped. Transfer the mixture to a large mixing bowl, and season generously. Add the cooled vegetables, oats and grated cheese, and mix to combine. Add the eggs, and mix well. Thoroughly spray an 8 inch springform cake tin with oil, then add the chickpea roast mixture, and press it firmly into the corners, smoothing the top. Bake at 190°C (170°C fan / Gas Mark 5) for around 1 hour 15 mins, or until the centre is firm and the crust is golden. Remove from the tin, and cut into slices to serve. 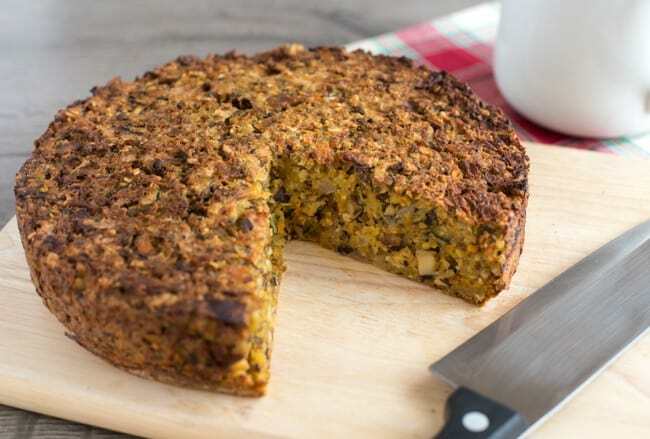 Here’s another favourite option for your vegetarian Christmas dinner – cheesy carrot nut roast. So so good! top tip, vacuum packed chesnuts are usually on offer during the Christmas season. I usually buy enough to last the whole year…as they are usually quite expensive (for us)…and I love them,and they are so useful. Good tip! They can be hard to find at other times of year anyway! I think my mum would particularly enjoy this as she’s a big fan of chickpeas and often eats vegan or vegetarian when the rest of the family are eating meat dishes. This looks really palatable. A must try during the holidays. And oh congratulations on being featured in Super Food. 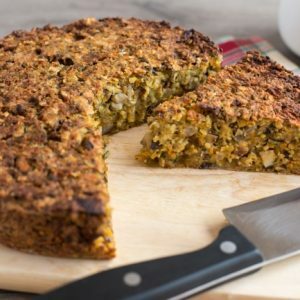 This is such a unique recipe–love it! I may have to give it a try at Christmas this year. My husband has a family member with a chestnut tree in her backyard, and we always spend Christmas Eve. collecting them and roasting them over a fire. So yummy! I bet they’re awesome in this roast. That sounds amazing, so festive! That is so cool your recipes are in a magazine! Congratulations! This roast looks delicious! This looks like a hearty dish perfect for any Christmas table! Congrats on the 6 published recipes! Fantastic! Congratulations on being featured in SuoerFood, such a great magazine! This recipe looks great. A lovely alternative to stuffing too. 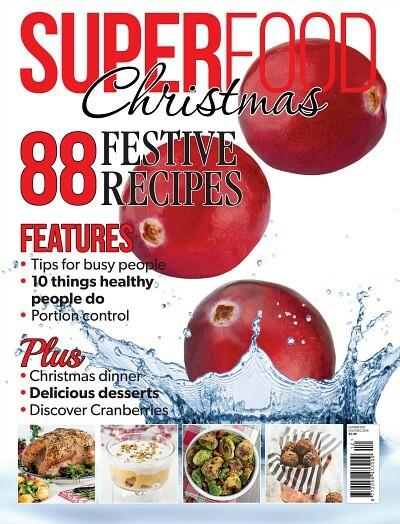 Congratulations on having recipes in Superfood magazine! 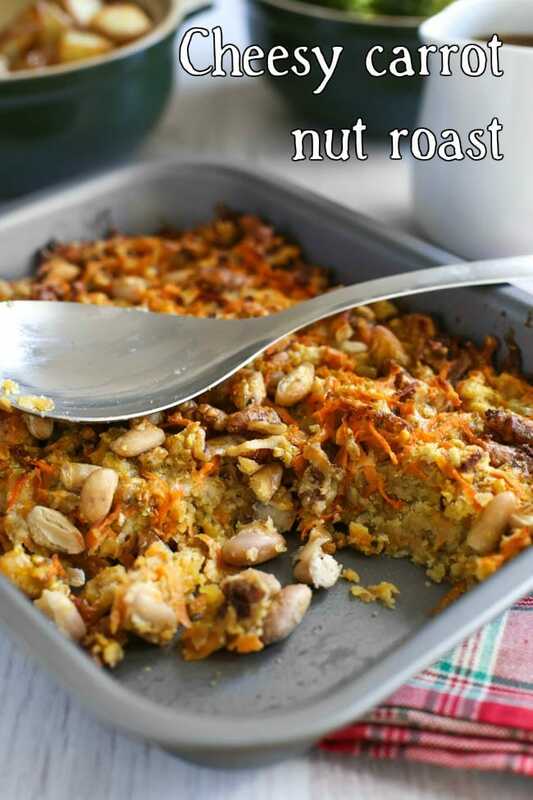 I love this chestnut and chickpea roast – and great idea to cook it in a springform pan. O I love this! 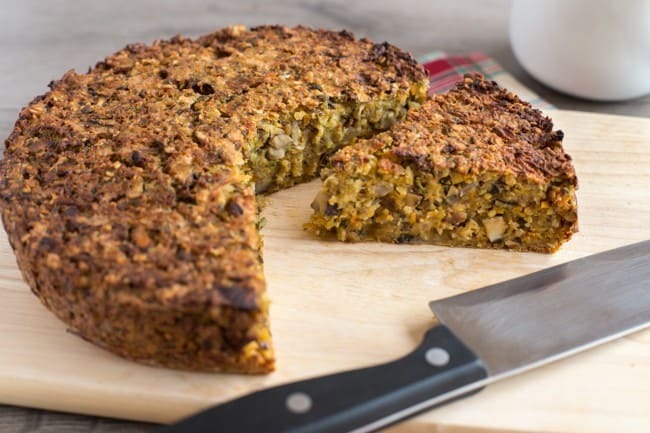 Legume loaves are my favorite and such a great plant-based entree! Thanks for posting, this looks really interesting. By cooked chestnuts, do you buy these fresh and cook them or can you buy a pre-cooked variety? I have only ever had pan roasted chestnuts, and even those not since childhood. Thanks Priscilla! I buy them pre-cooked – in the UK you can buy them vacuum-packed, which is what I used, or I think you can sometimes buy them in a tin as well. I’ve never actually cooked them from fresh, but if you’re used to cooking them yourself, go for it! The vacuum-packed kind that I buy are fully cooked so they’re quite soft and have quite a creamy texture that works well to bind the other ingredients together. 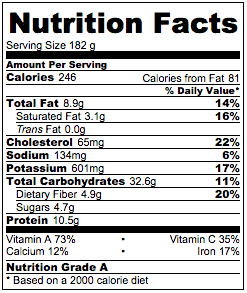 I’m sure you could adapt this to make it vegan! The cheese does add a nice flavour, so you could experiment with vegan cheese, or maybe just a good few spoonfuls of nutritional yeast, instead. As for the egg, maybe try flax? Oh, but that sounds sooooooo good! And I have a cup of cooked chickpeas in the freezer….